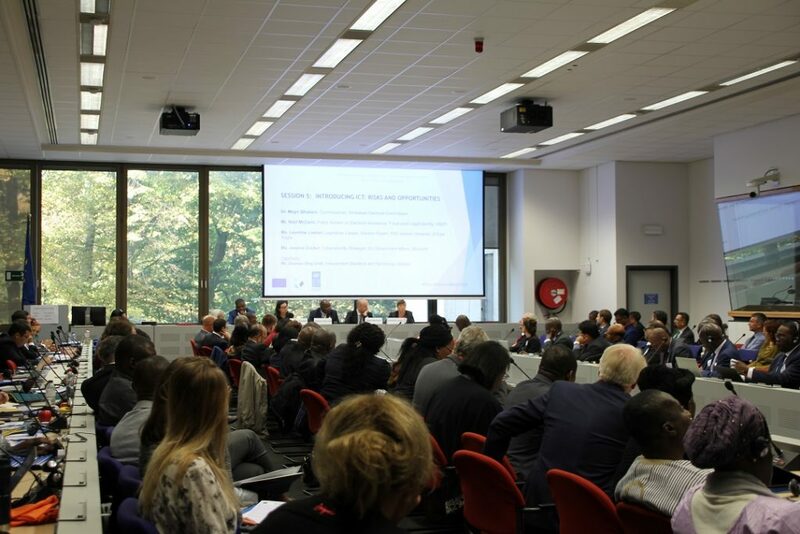 From 8 to 10 October 2018, the EU-UNDP global conference entitled “Sustaining Peace through Elections” brought together nearly 200 participants from more than 60 countries, including representatives from 20 Electoral Management Bodies (EMBs), representatives from many civil society organisations (CSOs) as well as high-level government officials. The conference was a part of the wider project to develop a toolbox on electoral conflict prevention, for use by the EU Delegations and UNDP Country offices in designing joint activities. 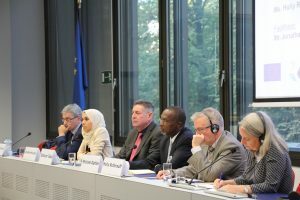 The project is undertaken jointly by the European External Action Service/Prevention of conflicts, Rule of law/Security Sector Reform, Integrated approach, Stabilisation and Mediation (EEAS/PRISM), the European Parliament, the European Commission (DG DEVCO) and the UNDP and coordinated by the EC-UNDP Joint Task Force on Electoral Assistance. 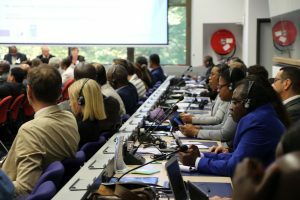 Reflecting a common theme of the discussions, namely that societies with strong democratic institutions are more resilient to electoral conflict, experts identified “democratic strengthening” approaches as essential components to the prevention of election-related violence. Such strategies are not limited to the pre-electoral, electoral and post-electoral periods, but rather should be developed throughout electoral cycles. A “Democratic Strengthening” approach attempts to view assistance through a wide-angle lens, to include all the stakeholders in a comprehensive, long-term vision to strengthen the resilience of the democratic system as a whole (including, but not limited to, electoral authorities, judiciary, parliaments, civil society organizations, media). 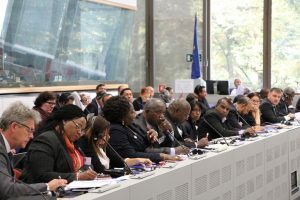 This approach is in line with UN’s “Sustaining Peace” approach, as outlined in Secretary-General’s report on “Peacebuilding and sustaining peace”, as well as EU’s strategy, specifically the “Pre-emptive Peace” section of the EU’s Global Strategy, stating that the EU will “redouble our efforts on prevention, [and] monitoring root causes” of conflict. A final report will be soon available and posted on our website.